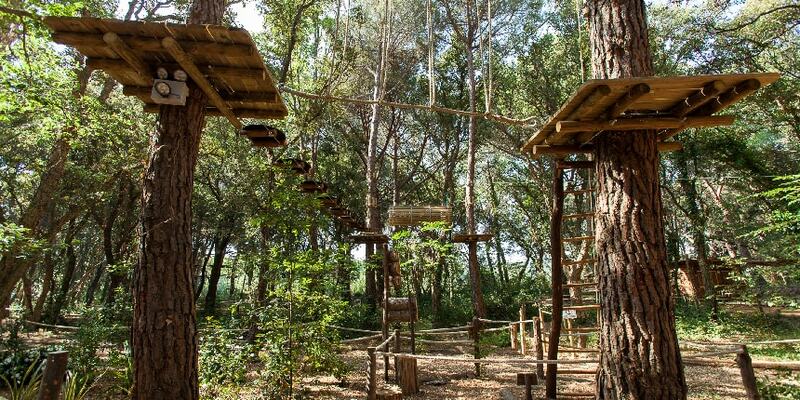 Platja d'Aro Adventure Park is the largest adventure park in southern Europe. 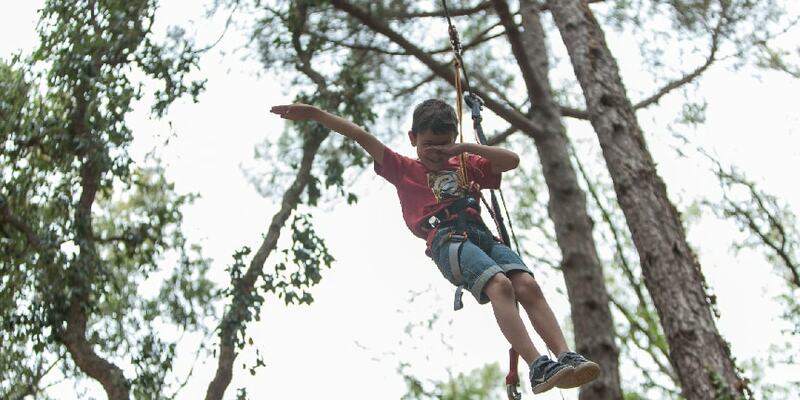 A unique environment surrounded by one of the best preserved Mediterranean forests of the Costa Brava where you can download adrenaline and feel a true adventurer with your family and friends, enjoying the more than 120 adventure activities that we offer. Do you want to experience the sensation of flying? Glide through the more than 1,500 meters of zip lines and feel the thrill of skin. A park of 5 hectares of land, with up to 23 types of hanging bridges to enjoy an exciting adventure. In Platja d'Aro Adventure Park you are all welcome so that you can decide the multi-adventure circuits in which to live your own adventure. What can I do in Platja d'Aro Adventure Park? We have a wide variety of adventure activities for all ages: zip lines, vacuum jumps, lianas, footbridges, skate, slackline, bridges, tunnels, Tarzan jumps, abutments, swings, etc. The activities are included in the price, as well as the equipment and safety training of our monitors. Discover what activities each circuit has! At Costa Brava Adventure Park we believe that shared adventure is much more enjoyable. We offer adventure experiences and activities to enjoy with children, friends or family. Let the adventure begin! 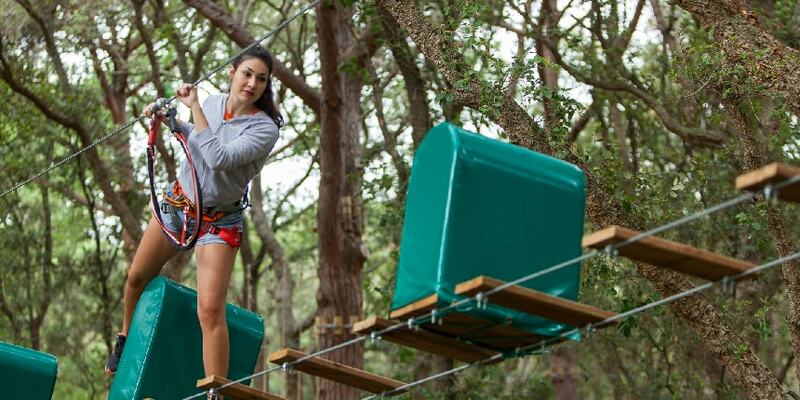 Platja d'Aro Adventure Park is made up of 9 multi-adventure circuits where you will test your skills and those of your children, and you will enjoy strong emotions with family or friends. We offer you the ideal plan to spend a day of activities with your children, with your friends, with your colleagues, with your family or with groups of schools. In addition, you can celebrate birthdays, bachelor parties, business events or another type of party. Each multi-adventure circuit of the park is inspired by a special corner of the Costa Brava. Choose the one you want and start enjoying!